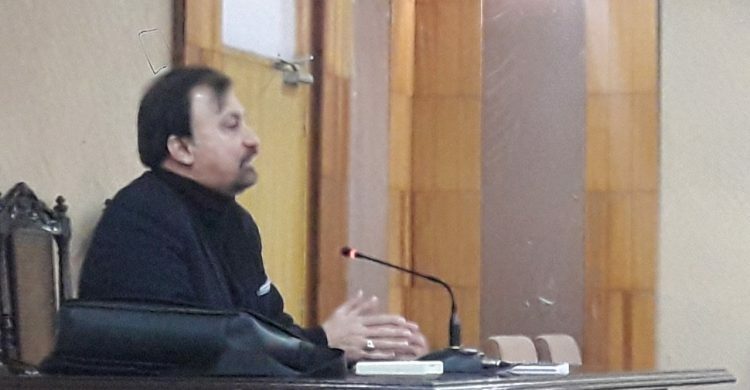 The day after Indian air violations, and attack on presumed targets in Balakot area of Khyber Pakhtunkhwa province, the students and faculty of DSS were apprised about the implications and consequence of this action, by Air Commodore Khalid Banuri. With a distinguished career in the Pakistan Air force, as a fighter pilot and later Director General Arms Control and Disarmament Affair at the Strategic Plans Division, Mr. Banuri also holds a degree in International Law. The speaker first examined in detail the suicide attack by a lone Kashmiri youth Adil Dar, which claimed the lives of forty Indian paramilitary personnel in District Pulwama of Indian occupied Jammu and Kashmir. The divergent opinions, Indian media coverage and how it influences or builds public opinion, which is extremely critical at such a time of crises, were discussed. The Indian government’s response to the Pulwama attacks, with the proactive threat of a surgical strike against Pakistan, which they ultimately carried out on February 26th. The fact that India considers the Occupied territory as an internal security, puts the entire question of gross human rights violations, and atrocities conducted by its security forces, under the purview of International Human Rights Law (IHRL) that is primarily applicable in peace time. However the Balakot attack, which India termed as preemptive non-military strike, were a clear violation of UN charter and a premeditated willful act of aggression against Pakistan, which carries different implications under international law. The lecture was followed by a highly engaging discussion session and different response scenarios were highlighted and discussed.